Top 3 at-home Exercise Routine for Busy Moms : Your morning starts with getting your kids dressed for school and preparing breakfast. Then comes packing the lunch and driving them to school. The next chore is to head for grocery shopping or picking up the dry cleaning. And by the time you get home and finish cooking, it’s already time for the kids to come home. 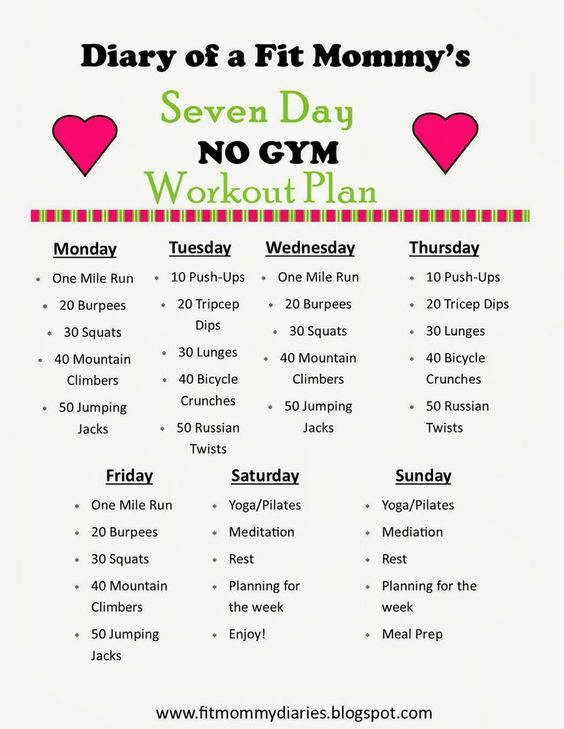 If your schedule is as hectic as this, then all you need is the perfect at-home exercise routine for busy moms. With kids around, it’s difficult to make time for yourself, isn’t it? This is the primary reason why many mothers struggle with weight. Sometimes 24 hours in a day don’t seem to be enough. So how is it possible to fit an exercise routine in the middle of all this? Well, when there’s a will, there’s always a way. Don’t ever forget that. If you’re genuinely interested in being a fit mom, then it’s time to put that extra effort in the day. And you don’t need to change into your workout clothes and drive to any gym for that. You can perform these movements in the comfort of your home as well. Failing to do so might increase the stress of being a busy mom. Now I know that a few extra kilos are not such a bad idea. But it can lead to weight gain if you don’t keep it in check. Also, working out is always good for the mind and body. So what you see below are three resistance full-body exercises that don’t require any equipment or tons of space. There’s nothing better than squats when it comes to strengthening your abdominal muscles. In fact, squats are considered to be a great workout for tightening the glutes and quadriceps as well. They are the two large muscle groups of the body. If you have a knee problem, then here’s another valuable piece of information for you. When you perform squats properly, they help in eliminating knee pressure to a great extent. And this happens due to the strengthening of the muscles surrounding the knee without impacting the joint. So let’s find out how to do squats correctly. You begin by placing the feet apart; maintain a hip-width distance between your feet. Now lower your body into a sitting position. And while doing so bring the arms forward and hinge at your waist. You have to remember not to push the knees forward at this point. Keep them behind the toes. Push your buttocks as deep as you can until your thighs are parallel to the floor. Then return to the starting position by placing pressure on the heels and lifting the chest. This is another excellent multipurpose home exercise routine for beginners. It works on your glutes, abs, back, chest, and arms. And you don’t need to perform advanced push-ups. The regular version of the exercise is also pretty effective. You start on your knees and hands. Place the hands on the floor and keep them wide apart from each other. Make sure that your knees are behind the hips. Now curl the toes and lift the knees off the ground. Do that while straightening the body. This is only the starting position. Now comes the real movement of the exercise. Lower the hips and chest by bending your elbows. And go down till the elbows form a 90-degree angle. The final move is to return to the starting position by pushing on the hands. If you wish to modify the exercise, what you can do is let your knees rest on the floor at the starting position. But don’t forget to place them behind your hips. Also, your hips and chest should be aligned properly when you lower the body. Such a workout goes a long way in strengthening your entire core. You can start with as many push-ups as you like or can complete properly. But set a goal to achieve every week. The aim is to keep increasing the number of push-ups on a weekly basis. The best way to go about this is to begin the session with the regular version and finish with the modified style of workout. As days pass, you can keep adding the regular push-ups while decreasing the number of modified push-ups. Many women struggle with their triceps muscles, don’t they? They are located in the upper arm region, right opposite your biceps. If this group of muscles is a concern for you as well, then nothing beats triceps dips when it comes to engaging the core. I fact, it is considered to be the best home exercise routine for weight loss in the arms. But it affects your lower body too. So let’s find out how to perform this great at-home exercise routine for busy moms. Begin by sitting on the floor. Place the hands behind the hips right below the shoulders. Now bend the knees and place the feet under them. Lift those hips off the ground, and that’s your starting position. The next move is to bend the elbows to lower the upper body. Do this right before your hips come in contact with the floor. Then you can extend the arms and push down on the heels to come back to the starting position. If you want to work on your core more thoroughly, perform the exercise on a chair. All you have to do is place the hands near the front edge and repeat the movement in the same manner. Only this time you will be engaging that core by exerting pressure on the belly button while squeezing the glutes. To make it more advanced, try raising a leg off the floor when you lower the body. Being a busy mom can also mean trying to find the perfect balance between your professional and personal life. As a parent, you work hard to complete an important presentation and at the same time head to the supermarket to buy the best smelling laundry detergent. But no matter how busy you are, you should always make some time to work out. And with this at-home exercise routine for busy moms, all you need is 10 to 15 minutes. 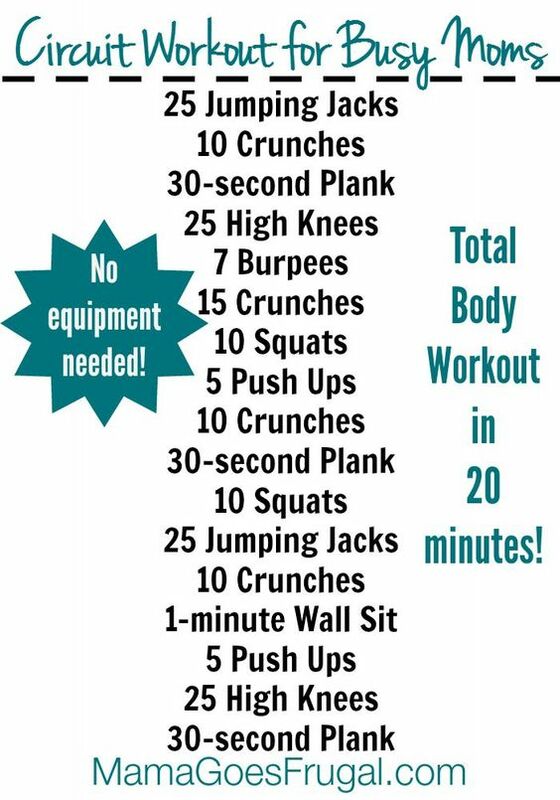 You can even extend the workout session for as long as 30 to 40 minutes. And lastly, don’t forget to add some stretches before and after the physical training. It helps your muscles relax and heal properly. Do you have any more exercises to share with us here? Please don’t hesitate to discuss your workout routine in the comments section. The more information we have, the better our short workout routines will be, right? Thank you for reading. Time to get moving! Barbara Davis is a mom blogger that believes in embracing parenthood one day a time. She writes about real experiences, practical ideas, useful tips, etc. It’s her passion for both being a good parent and having a successful career that gave rise to Mom Trusted Choice. So you know that she has a lot in common with many women across the globe. 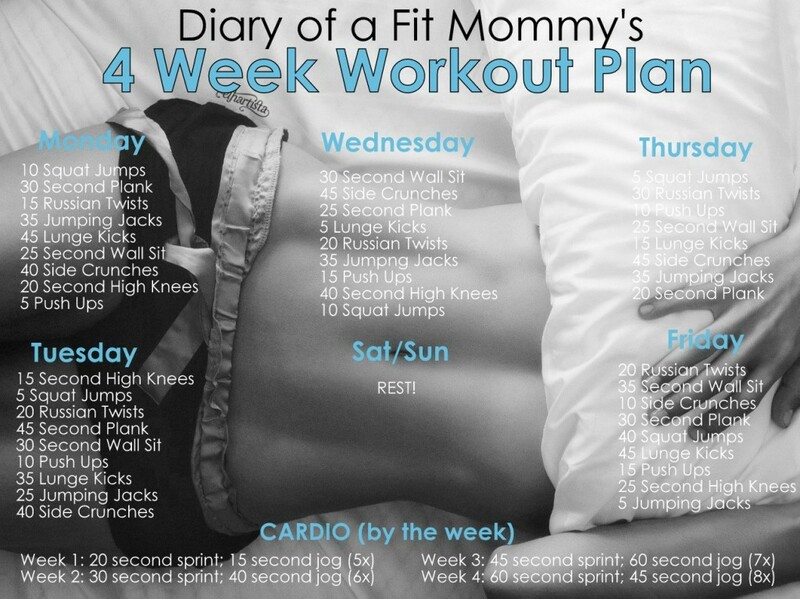 BEST At-Home Workout Routine for Busy Moms! Previous articleTravelling With an Infant?